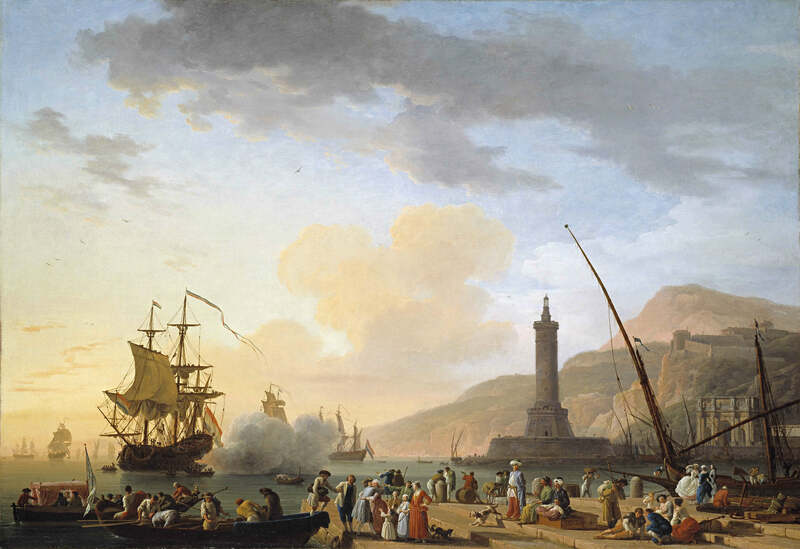 Claude-Joseph Vernet – Timken Museum of Art. Title: A Seaport at Sunset. Date: 1749. Materials: oil on canvas. Dimensions: 114 x 164.1 cm. Nr.: ? Source: http://www.timkenmuseum.org/sites/default/files/Vernet_0.jpg. I have changed the light of the original photo.